2. Beautiful Lies by Jessica Warman - The ending of this book totally BLEW. MY. MIND! 3. Immortal City (Immortal City #1) by Scott Speer - Both beginning and the ending were spectacular! One of my favorite books last year. 4. Slide (Slide #1) by Jill Hathaway - Mostly the ending but the beginning was amazing as well or as said in my review: "Slide rocked my socks off". 7. Bad Girls Don't Die (Bad Girls Don't Die #1) by Katie Alender - Another scary book that kept me up half the night reading. The ending left me breathless. 9. Between the Lines by Jodi Picoult - The beginning. Super cute! It was SOOO hard for me to only choose 10 books because there are so many that fall into this category for me. Finn's mouth claims mine with a searing kiss, and my mind empties of everything except his hands, his lips, his tongue. There is a little cut on Rory's check from her Father's ring. I call up my magic again and touch her cheek, lightly, with my fingertips. "Hold still." I love comments! Leave your links to your blog posts below. I will come check them out. Even if you don't blog, I would love to hear your thoughts on my Top Ten choices or book teaser for this week. :) Thank you for stopping by and Happy Reading! Oh, good. I have Shadowlands checked out right now. I love a good mind-blowing ending. Ditto on The Last Academy. I have that one on my Kindle, but haven't read it yet. Great list! Gah I need to read Shatter Me! It's been on everyone's lists! 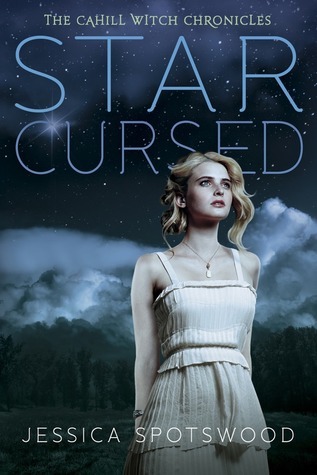 Love your top ten list... And I have Star Cursed on my list to read! Definitely agree - the beginning and ending of Immortal City was the best! The best part was that the book is awesome as a whole too.